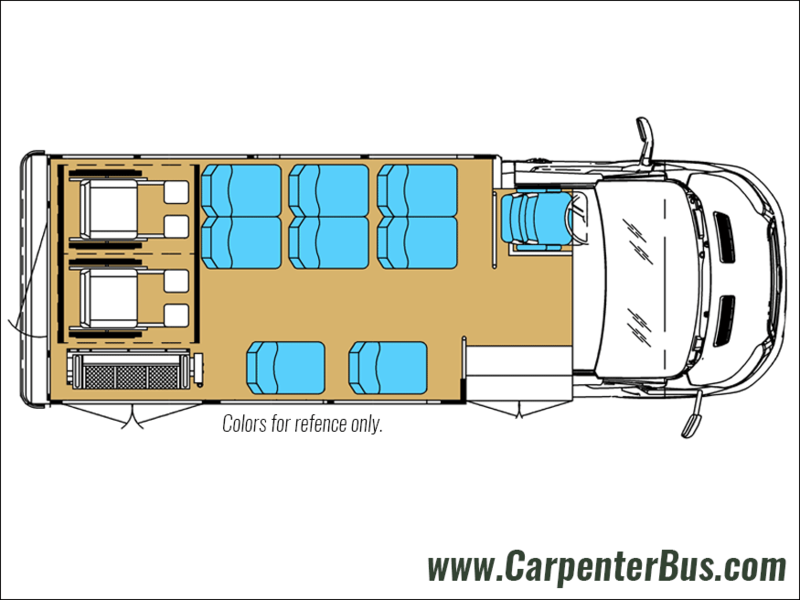 If you are in the market to replace your raised roof van or your older 15 passenger van, the Starcraft Starlite Transit is the perfect option. To begin with, the Starcraft Starlite is built on the brand new Ford Transit Van chassis. The Transit chassis has replaced the Ford E-Series chassis. The Starcraft Starlite features a narrower body compared to fellow models in the Starcraft line such as the Starquest or the Allstar, but still boasts plenty of room for your passengers. The Starlite has fantastic handling as and can be used in numerous types of applications. With its dual rear wheels, your drivers will enjoy the stability that is offered on the Starlite. Another great benefit of using the Starlite is that most states do not require a CDL to operate the vehicle since it’s maximum capacity is 15 passengers including the driver. *Be sure to check with your state DMV to confirm your own state’s requirements. When your passengers are entering and exiting this bus, they will enjoy the low first entry step and the deep step wells. The Starcraft Starlite also provides several configuration options to meet a variety of uses. 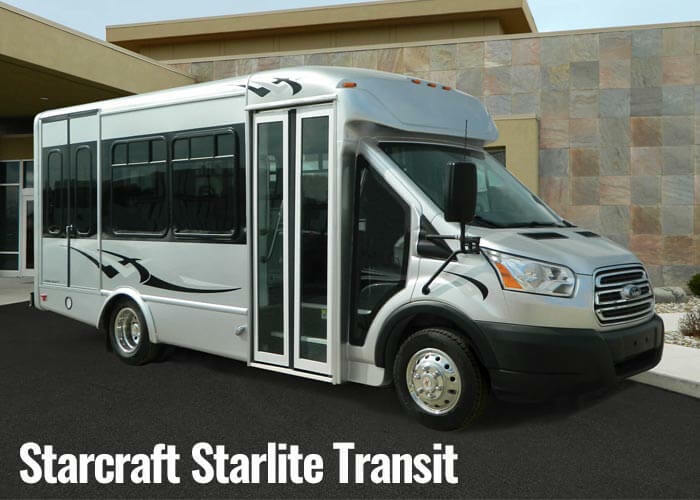 The Starlite can be outfitted with an optional ADA wheelchair lift that can be mounted in the rear of the bus. The wheelchair lift configuration is very popular in senior care facilities. 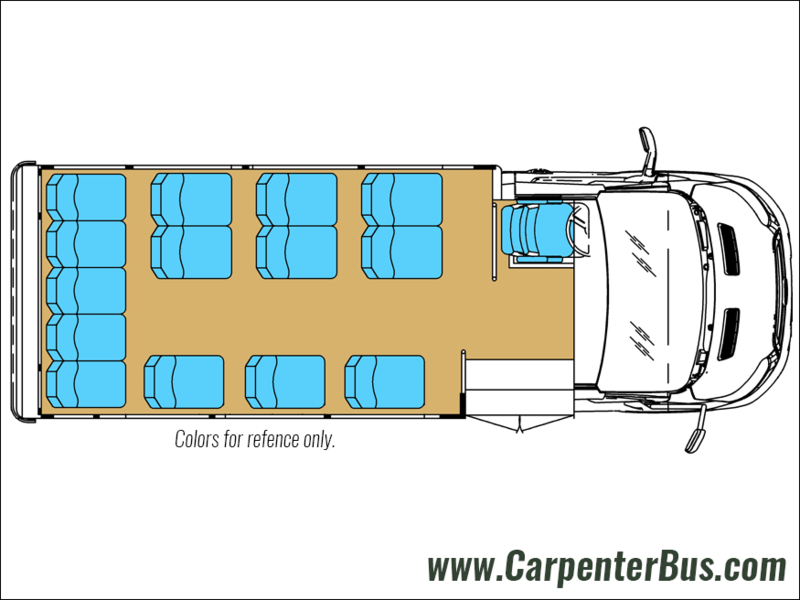 This particular Starcraft model can also be configured with perimeter seating (PS) which is extremely popular and most often used by airport shuttle service providers. As with any other model of bus, adding extra amenities like at TV/DVD package can make riding on the Starlite that much more enjoyable. The Starlite is a great option for customers with a limited budget due to it’s low price point.